W.I.P. demande à des invités de donner leur point de vue. Ici, Michael Shapiro, professeur à l’Ecole de journalisme de Columbia, à New York, qui vient d’écrire un livre intitulé “Tales from the great disruption”, fait le point sur la “valeur” des informations à l’heure des paywalls. En anglais. In March of 2011, the New York Times took the considerable risk of altering the unwritten compact with its readers and charge them for access. The Times was by no means the first news organization to do this, but because it remained the nation’s premier newspaper, the implications were enormous. The Wall Street Journal, had been charging for access since 1996. Still, it was one thing for the Journal to charge because the Journal, great as it was, was regarded as a special interest publication whose core readership — the business and political elite — could afford the subscription (and put it on an expense account). The Times, elite as many of its readers were, was still an omnibus, all-purpose newspaper. Besides, the Times had experimented with and ultimately abandoned a paid premium service – Times Select. Were paywalls a losing proposition? Many people believed that charging for content was a very bad idea. Readers, they argued, would not pay for something that by now they could get for free. But there were others who insisted that this was not necessarily the case, among them Time’s former managing editor, Walter Isaacson, who in 2009 had argued in an essay for the magazine in favor of instituting fees for access. While the advocates of free and open information insisted that paywalls were a losing proposition, and that the print newspaper was doomed, there was growing evidence that while a hard paywall was not necessarily wise, a hybrid model might work — say, give away 80 percent, and charge for 20 percent; or perhaps institute a “metered model,” where readers could read, say, twenty stories a month at no cost but would be charged for each subsequent piece. The metered model was built on an intriguing conceit: that readers would so enjoy or admire those free-of-charge stories that they’d willingly hand over their credit card information and allow themselves to be charged for more. The paradigm, after all, had worked at, among others, Netflix and Hulu, to say nothing of premium cable TV. This suggested a certain irrationality on the part of consumers, an argument endorsed by Peter Fader, a professor of marketing at the Wharton School at the University of Pennsylvania. Economists, Fader believed, often make the mistake of building projections upon the supposition that people are rational beings. But people, he explained, will commit the irrational act of paying for all kinds of things that they can otherwise get for nothing. This brought to mind people choosing iTunes, in favor of a bootleg, free download. Why? Because for 99 cents Apple made the experience a nice one, easy and convenient (and yes, legal). Such qualities, Fader argued, can supercede price. Passionate as was the argument for free content, there was growing evidence to support the idea that people not only would pay, but already did. They paid for the Journal. But they also paid a lot of money — as much as $10,000 a year — for access to Congressional Quarterly’s bill tracking databases. The other examples of walled-off destinations had one of two things in common: Either they were the only source of information around — for instance, the Arizona Republic, that state’s dominant news source — or they were built to satisfy the needs of an engaged and specific community, be they investors, amateur chefs, lobbyists, or college football fans. In reversing the decision it had made four years earlier when it ended its paid digital service, TimesSelect, the Times was essentially telling its readers, and advertisers: We believe what we produce is valuable; if you value it, too, it is yours at a cost. Publishers held their breath, wondering what this would mean for everyone else? What if the plan failed and readers so used to free balked at paying? What might this portend for the future of a business desperate to find new ways to support itself? The news business had never been forced to confront so directly the question of its value. American journalism had long enjoyed Founding Father Thomas Jefferson’s blessings and the Constitution’s First Amendment’s protection. The industry, once populated by men who had not graduated from high school, had become a discipline taught in graduate programs. Journalists saved lives, gave voice to the voiceless, and toppled heads of state, and though people may not necessarily have liked how reporters nosily went about their business, they nonetheless found them useful when problems arose and were reminded, once again, of journalism’s societal value. Of course, there had always been a lot of bad journalism — sleazy, conniving, dishonest, manipulative, tawdry journalism. And while those sorts of publications were deemed of little social or journalistic value they nonetheless possessed what in business school is called a “value proposition.” People paid for them. As disruption unmoored the basic operating tenet of the news business — simply put: that advertising, not readers, pays most of the bills — editors and publishers were confronted with a question that few, if any, of their predecessors had ever felt compelled to ask, let alone answer: Is what we produce and sell still valuable? Not “important.” Not “worthy.” Valuable. The Daily News lives on as a diminished version of its once big, proud self. Its world, like the world of so many of its competitors has been upended. As it was for the News almost one hundred years ago, new publications have discovered new markets where people see value in what’s being produced. There are still newspaper men and women of a certain generation— read: mine — who see nothing less than the devil in Craig Newmark for having created a business that eviscerated newspaper’s monopoly on classified ads. They decry the rise of Buzzfeed, and all its many cat photos and “listicles.” They forget that in 1990 the behemoth that would become Bloomberg News consisted of six employees who thought that there might well be a business in selling exclusive financial news to wealthy clients through $20,000 terminals. The mistake in trying to make sense of the seemingly relentless waves of disruption is in looking only at the technology itself. The technology is the means, not the end. The end, now as it ever was, is understanding that which never changes, and never will: appreciating the subtleties of human nature. The Great Disruption did not change people. It gave them new ways to do what they had always done. To read faster. To learn things more quickly. To tell their friends. To speak their minds. Before it was said that Apple produced products that people did not know they needed, the same was said of Sony. It might well have been said of IBM and before that General Electric. In a way, it really is that simple. We, the readers, listeners, and viewers, want both. We will settle for one: new for what we need to know right now; interesting for the delight we experience in surprise, in discovery, in knowing. The question that Bill Hanna is forever trying to answer, and which, at its core, every news organization is trying to resolve most every day is: What can we offer our audience that they will value because it is new and/or interesting? The Great Disruption has not created a new species. It simply allows people to act in ways they may not have thought possible, but which, when presented with the opportunity, make all the sense in the world. In the spring of 2015, four years after it imposed its “metered model” paywall, The New York Times had more than 900,000 digital subscribers, and seemed on the road to a million of them. The Los Angeles Times has a paywall now. So, too, do The Dallas Morning News, Newsday, the Houston Chronicle, the Orange County Register, the Star Tribune of Minneapolis, the Philadelphia Inquirer, and hundreds more. This is not to conclude that paywalls are the answer to what ails the still ailing and reeling news business. They are, however, a way of thinking in the face of cataclysmic change. They are a statement, a marker thrown. 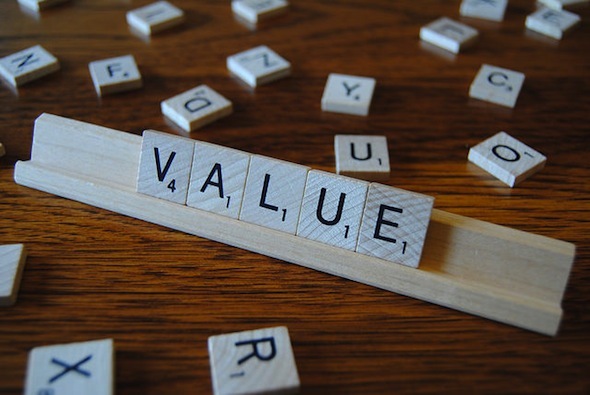 They say: We are committed to producing a publication of value and if you value it, it comes at a cost. Sadly, but perhaps inevitably, it took the pain of The Great Disruption to see that. Or, perhaps, to be reminded. This essay is adapted from Tales from the Great Disruption: Insights and Lessons from Journalism’s Technological Transformation, by Michael Shapiro, Anna Hiatt, and Mike Hoyt. It’s a look how new and old journalistic institutions are dealing with the digital revolution, published by The Big Roundtable, a platform for nonfiction narrative stories. Shapiro, Hiatt, and Hoyt are, respectively, its founder, publisher, and editor.